This afternoon, Borgesi's lawyer, Christopher Warren, quipped "At least we know they're not wandering in the desert. This time they have a copy of the indictment." The note sent out by the panel read in part, "We have voted at least two times...and we are at an impasse." The note also said that there was no unanimity on any of the five charges they are considering. "I think it's very early in the process," Robreno said to the lawyers prior to calling the panel in and responding to the note. Deliberations began late Wednesday afternoon, the judge noted. The jury met for about six hours on Thursday, but did not meet Friday. It has deliberated about three hours today before sending out the note. In the first trial, the jury deliberated for three weeks after hearing testimony for three months. That case involved seven defendants and 62 counts. The jury returned not guilty verdicts on 46 counts, guilty verdicts on five and hung on 11 others. This case involved just two defendants and the five counts on which the jury hung against them. Ligambi is facing a racketeering conspiracy count, two counts of illegal gambling and one count of witness tampering. Borgesi faces only a racketeering conspiracy charge. Neither defendant said much when they were called into the courtroom today, although both nodded and smiled at a dozen family members and friends who have been keeping a vigil on the 15th floor since deliberations began. Borgesi was found not guilty of 13 of the 14 counts he faced in the first trial. Ligambi was acquitted of four of nine counts. While it's impossible to determine how split the panel is, the fact that there is not unanimity on any count is, at least in the short run, a victory for the defense. Both Warren and Ligambi's lawyer, Edwin Jacobs Jr., launched blistering attacks on the government's case and their key witnesses. They argued that the prosecution had overcharged what amounted to a minor gambling case, cobbling together unrelated crimes by various individuals to create a racketeering enterprise where one did not exist. Throughout his closing argument, Jacobs told the jury that the mob no longer exists, calling it "an impotent shell" and describing Ligambi as the "titular head" of an organization that FBI had dismantled more than a decade ago. Labor and Assistant U.S. Attorney John Han, the key prosecutors in the case, argued that Ligambi and Borgesi used the mob's historic reputation for violence to advance gambling and loansharking schemes from which they both benefitted. 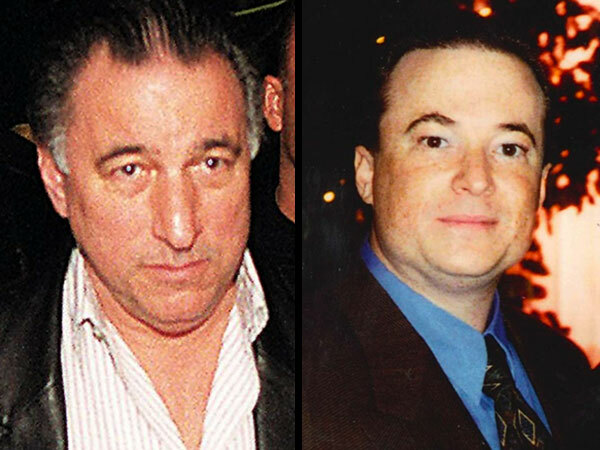 The case against Borgesi is built almost entirely around the testimony of mob informants Louis "Bent Finger Lou" Monacello and Anthony Aponick. The defense urged the jurors to seriously consider whether they could live with themselves if they sent a defendant to jail based on the testimony of two witnesses whose testimony was tainted and self-serving.